October, already? How did that happen? Incredibly, it’s almost time to start thinking about Thanksgiving menus, Christmas gifts and… taxes. Yep. In many ways, December 31 is the real Tax Day, not April 15th. There are several steps you can take to reduce your 2016 tax liability, but you have to move before the end of the year. Here are 8 such ways to trim your obligation to Uncle Sam. Make a donation. Did you know the last week of the calendar year is the time of highest charitable giving? Huh. Wonder why? If you’re the giving type, get your donation off to a worthy cause before December 31. Cash is awesome, of course, but if you’re in a position to donate stock that has gone up in value since you bought it, you could get a double benefit. So long as you have owned the asset for more than a year, you can deduct its market value on the day of the donation and avoid the capital gains tax you would have incurred by selling it. Pay your taxes early. If you really need to reduce your 2016 taxable income, consider paying your estimated state income tax bill or property taxes before December 31. These bills are typically due in the first couple of months of the new year, but your state comptroller will gladly take payment whenever you offer it. One caveat here: This strategy doesn’t work if you are subject to the Alternative Minimum Tax, which applies to many upper-middle-class taxpayers. State and local income tax and property taxes are not deductible under AMT. So, if you think you will be subject to this much-despised aspect of the tax code, pay those on schedule next year. Defer some income. Compensation is taxed in the year it is received. As an employee, you probably won’t be able to delay payment of your December wages or salary. But you might convince the boss to pay that juicy 2016 bonus in January of 2017. If you are self-employed, you have more opportunity to control the timing of your comp. Send out your last 2016 invoices in late December so you get paid in January. Of course, you only want to push income into 2017 if you expect next year’s income to be similar to 2016’s. If you anticipate a huge 2017 because of a new job or significant client growth, you don’t want to further inflate next year’s income. Ditch some losers. The losses you suffer when you sell an underperforming stock or mutual fund can be used to offset the gains on your other investments. And get this – if your losses exceed your gains, you can use up to $3,000 of the excess losses to offset other taxable income. Use that flex money. If you have a flexible spending account, make sure you use all the money you put in that fund to pay for medical or childcare expenses. This may not need to happen by December 31. Check with your employer to see if they have adopted one of two new IRS policies. One extends the deadline to use 2016 money to March 15, 2017. The other allows employees to roll over up to $500 for use anytime in 2017. Max out that 401K. 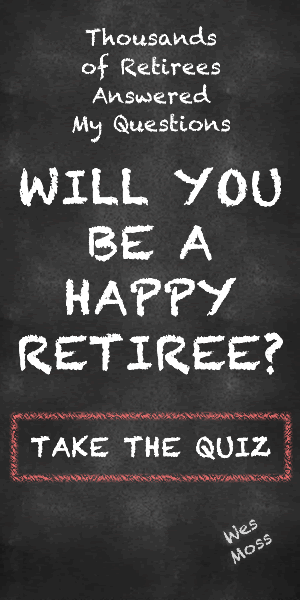 Try to contribute the maximum $18,000 to your employer’s 401k — $24,000 if you are 50-plus. If you’ve met that max, consider funding an IRA up to the $5,500 max, $6,500 id you are 50-plus. You actually have until April 15th to reach that limit. When you start taking your distributions, you might want to have your IRA custodian withhold income tax for you. That saves the headache of quarterly tax filings. Beware the kiddie tax. Year-end might seem like a good time to gift some stock to your children, but be careful! If your child has investment income in excess of $2,100 that money is taxed at the parents’ tax rate. This rule applies until age 19, or until age 24 for full-time, dependent students. So, if you give your daughter stock with the expectation she will sell it to pay for college, know that any gain over that $2,100 will be taxed at your rate. No one wants to think about taxes during the busy, joyous holiday season. But if you spend just a little while implementing these steps, you might give yourself the holiday gift of a smaller tax bill. Ho, ho,ho.